I write because I’m confused. I turn to writing because it’s a way for me to undo the confusion. I’m flummoxed – scared too – because I sense that these two students’ assertions are connected and point to a systematic, institutionalized process of disturbing the natural inclination to express one’s sense of self creatively; and that this systemization has replaced the instinct to imagine with an illusion – that competition and material gain are the road to success and happiness. I am writing because I want to see if my imagination can go inside these students’ statements to discover if, indeed, these young minds, these innocent minds see themselves as they do because they were placed on this conveyor belt to happiness and left to their own devices to fend for themselves in a world that has been constructed vertically, competitively. I’m wondering whether somewhere along their respective journeys, these students – many are like them – have intuitively felt that they were somehow conceived as just more raw material, inert and indifferent, and ready to be used for anything at all? If student “A” is tired, then her education has never focused on her needs. On what though? Student “B”, in his exclamation, which was met with smiles, nods of agreement and some laughs, fails to see that his statement (1) comes from a position of incredible privilege, (2) that it disrespects his fellow classmates, many of whom don’t have the social safety net that enables him to feel that reading and thus education are a chore, something to be tolerated, and (3) that he’s giving us a snapshot of his family, which he also disrespects since they are the ones affording him the luxury of an elite education – to say nothing of the fact that he’s providing for us a sense of the values that have been instilled in him by family, community and education. We have mobilized great support for this enterprise – and in the process insinuated a certain category of human existence: surplus people. Student “A” and student “B” are two extremes of this existence: “A” is reluctant, tired, looking for answers that the system can’t provide; “B” is cynical, completely, but held up by wealth, which gives him the impression that he just has to get through this impasse – reading, writing, schooling – and he’ll get to a better (meaning: richer, brighter, wealthier) future. Both students are bored, though student “A” understands that there may be a more creative approached. We have accepted these conditions as life itself. That these two student types exist is warranted by an ideology held together by a mythology that promises an illusory, gilded future while concealing the powerful monopoly behind the myth-making apparatus. Students – perhaps all of us – are helpless here. Since 1990, a wave of massive deals and rapid globalization have left the media industries further centralized in nine transnational conglomerates – Disney, AOL Time Warner, Viacom (owner of CBS), New Corporation, Bertelsman, General Electric (own her of NBC), Sony, AT&T – Liberty Media, and Vivendi Universal. These giants own all the world’s major film studios, TV networks, and music companies, and a sizable fraction of the most important cable channels, cable systems, magazines, major-market TV stations, and book publishers. This intense concentration of the myth-making apparatus affects all areas of our culture, not least of which education. If we add the Internet and ubiquitous computing, we have a distributive model whereby a ruling ideology is delivered unimpeded through almost infinite numbers of portals. In other words, it’s relentless. And the message is clear, as McChesney points out: “the bulk of the population is depoliticized.” Thus student “A,” dispirited and not sure why, and student “B,” indifferent, uncaring, bored, are born. 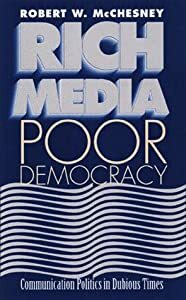 By 2004, Robert W. McChesney produces yet another look at our dependencies on media, The Problem of the Media: U.S. Communication Politics in the 21st Century. government are premised on having an informed citizenry, and the creation of such an informed citizenry is the media’s providence.” The problem, however, is that, “The crucial tension lies between the role of the media as profit-maximimizing commercial organizations and the need for the media to provide the basis for informed self-government.” This tension is what concerns citizens; it is also what produces an exhausting, dictatorial or totalitarian form of behavior, particularly in its use of people and nature, reinforcing the inevitable creation of student “A” and student “B,” both of whom see themselves as trapped. What is being sacrificed is health for productivity. Where we need atonement, we have moved – and continue to do so – far from any appropriate measures that might in fact produce a more exceptional human being that is at one with his and her immediate world. This requires a greater concentration on where one is now, the space each person occupies – and an examination of the problems existing in that space. Countering this very basic, human need is the world Herman, Chomsky and McChesney describe because it is always already focused on the future, an illusion of course, but nevertheless fabricated for us as real. The focus on an illusory future breeds competition since this future is consistently challenged by dwindling resources. So there is a future somewhere out there in the distance – but the message is clear: not all will make it. This is supported by a competitive, vertically structured educational system comprised of elite schools that are buttressed by elite communities. Not everyone can play. Students “A” and “B” are rebelling, primarily because they intuitively feel that they’re not the special interests that ruling elites require to survive. Thus I write because I’m confused. I am totally confused by this idea of surplus people that, indeed, is divided along socio-economic lines but also includes the children of the elite themselves because the narratives of our time that give us a sense of the world we inhabit have categorically removed the free exercise of the imagination, particularly when this is tied to will. We have taken away will, which is why kids – all of us – feel exhausted; we have taken away our natural need for atonement. 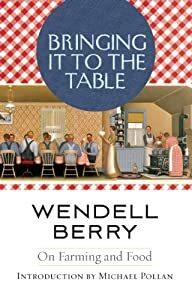 Conversation like this, faith and mystery, responses one may not like, all these things Berry points out are antithetical to the parasitic nature of the corporation; in turn, the corporation, which today includes education, particularly higher education, has removed conversation from the equation, thus students “A” and “B” wallow and serve – a life of servitude is what scares them. Servitude as a way of life requires the removal of imagination from the culture. You can find this happening in Education. This entry was posted in Uncategorized and tagged Chomsky, Conveyor belt, education, NBC, Noam Chomsky, Robert W. McChesney, Spain, United States by hector. Bookmark the permalink.